CADTalk for Acumatica is a CAD integration tool that eliminates the manual transfer of data from CAD software into Acumatica. Join our friends at Acumatica, CADTalk, Scanco, American Payment Solutions and StarShip for a complimentary webinar on Thursday, July 27. 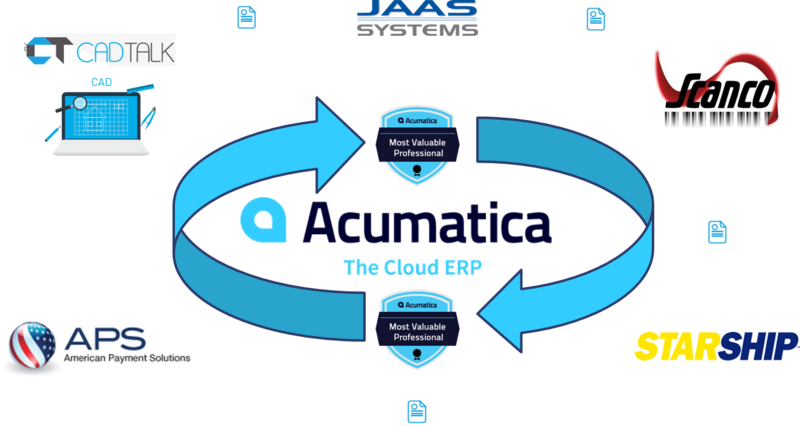 We will demonstrate how to import CAD data into Acumatica to automate the manufacturing, WMS, shipping, and payment process to eliminate duplicate data entry and human error. Automate MFG process by Tracking Labor, Material and Production Entries with Scanco mobile solutions for JAMS and Acumatica. Process shipments faster and more effective with Scanco's Warehouse App made specifically for Acumatica. We look forward to "seeing" you Thursday, July 27, 2017!